If you have experience driving, it is likely that you have narrowly avoided a catastrophe involving a blind spot or been part of a blind spot related accident. A blind spot is merely an area in the field of vision that you cannot see due to an internal or external obstruction. Your vehicle and the other vehicles on the road have multiple blind spots. The headrests of your car or even the rear of the car’s body can create a blind spot. 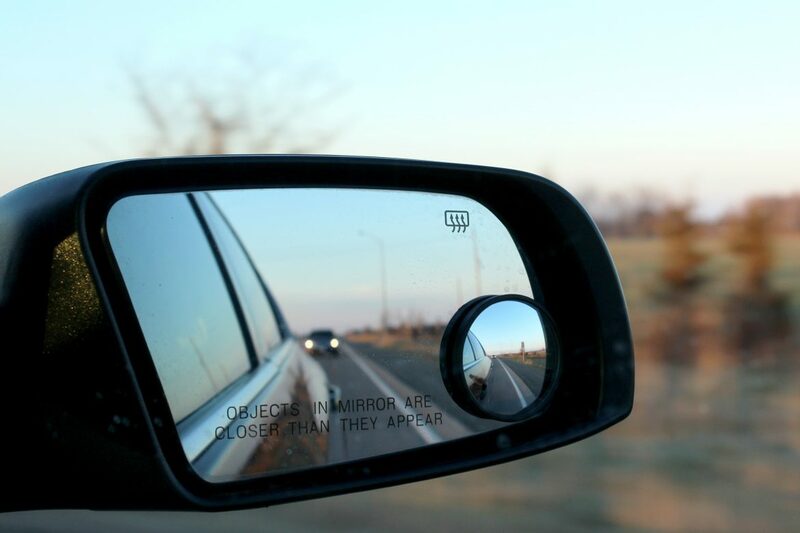 Most automobiles have an area along the external sides that the side mirrors do not pick up, forming another blind spot. A complicating factor is that blind spots vary by driver as everyone sits at different heights and in different positions behind the wheel. Why Do I Need to Address My Car’s Blind Spots? Blind spots can lead to accidents, injuring those inside and outside of the vehicle. Backing up, changing lanes, and making turns are all much safer with detection sensors that provide visual and audio alarms. The Insurance Institute for Highway Safety (IIHS) found that these systems significantly reduce the risk of accidents, and driver reviews testify the same. Consumer Reports found that two-thirds of drivers believe a blind spot monitoring system kept them out of at least one accident. Blind spot detection systems alert you to the presence of another car in your blind spot so that you do not change lanes at the wrong time. When you are backing up, the system lets you know if a car is coming that you would not be able to see otherwise. What Do You Do About Blind Spots? You can choose from multiple options to keep blind spots from causing an accident. One of the easiest remedies is a blind spot mirror. This is a small mirror that affixes to your exterior mirror, capturing an area that does not reflect in the larger glass. This is particularly helpful for a van or long pickup truck. For a more comprehensive solution, you can install a complete aftermarket blind spot detection system to alert you to the presence of another vehicle alongside you, whether it’s moving or stationary. While many new vehicles come with such a system as standard equipment, do not be discouraged if your vehicle does not provide this piece of technology. Aftermarket blind spot detection system installation is a job for a knowledgeable professional like those at Autohaus Automotive Solutions. While the system and installation may come with a cost, it is incomparable to the expense of an automobile accident with or without injuries. How Do I Get an Aftermarket Installation Completed? At Autohaus Automotive, our team will help you find the right system for your car and get it installed. This is important because not every system works with every vehicle. As this is a highly technical process that may involve your vehicle’s wiring, it is vital to seek a trained professional to handle the setup to protect the integrity of your car’s inner workings. Contact Autohaus Automotive to schedule your installation appointment today!